After two years of lab science research, investment and training, I’m thrilled to report that we have achieved validated glyphosate testing in our in-house lab, and we are now in the process of certifying all Health Ranger brand products as “Glyphosate Tested” with glyphosate residues achieving “non-detected” status. 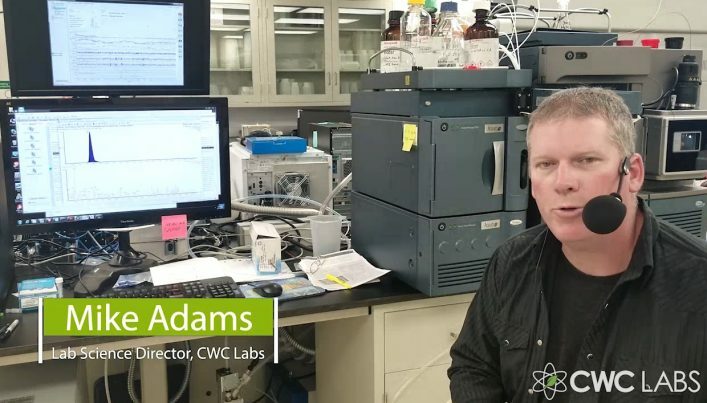 We are able to determine this using complex chemistry and a triple quad mass spec instrument (LC-MS-MS) that required an investment of about half a million dollars and two years of studying analytical chemistry and instrumentation operations. Soon, everything you buy at the Health Ranger Store that’s an in-house brand will be certified glyphosate tested. This is in addition to the heavy metals testing, microbiology testing and other tests we routinely conduct to achieve our reputation as providers of the cleanest foods, superfoods and supplements in the world. Shop at HealthRangerStore.com to take advantage of our lab-tested products, now featuring over 700 different solutions for health, green living, personal care, superfoods, pet care and more. In case you’re curious how lab testing works, I’ve posted two videos here that provide a detailed tour of our lab instruments and testing process. One of the videos below has already been derided as a “geek fest of pure geekdom,” so prepare for some technical jargon. But I wanted to communicate what we’re doing to both consumers and scientists alike. What we have achieved in glyphosate quantitation is considered extraordinary by nearly all analytical scientists. The clean chromatography we produce is almost unheard of for glyphosate, which is widely considered to be the single most challenging chemical compound in all of agriculture. Normally, glyphosate produces extreme “tailing” while bleeding off the column spanning several minutes. We’ve managed to reduce the peak width to about 0.6 minutes, which is still wide compared to other compounds, but it’s fantastic for glyphosate. If you’re curious about the sensitivity of our detection, we have determined that our Limit of Detection (LoD) is below 1 ppb. It’s actually closer to 500 parts per trillion, or 0.5 pg/ml. We may be able to get even more sensitivity with further tweaking of our chemistry. 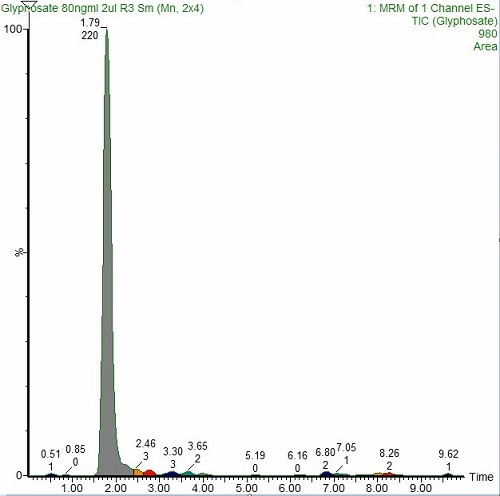 Our Limit of Quantitation (LoQ) is currently between 1 ppb and 2 ppb (1 ng/ml and 2 ng/ml). This means we can accurately quantitate glyphosate contamination in food samples at 1-2 ppb. With further refining of our method, we expect to get this even lower, to around 0.5 ppb, or 0.5 ng/ml. We have already completed glyphosate testing for over two dozen popular products offered through HealthRangerStore.com, and we have confirmed zero detectable glyphosate in all of those products. This shouldn’t be surprising, since we purchase almost exclusively organic, non-GMO raw materials, yet it’s comforting to know that glyphosate is being independently tested and confirmed to be non-detectable, even at around 1 ppb sensitivity. Over the next several weeks, you’ll see us rolling out “Glyphosate Tested” icons across the Health Ranger Store, indicating which products have completed glyphosate testing. In time, this testing will be expanded to nearly every product under our brand, with a few exceptions that don’t require glyphosate testing such as Himalayan Salt, for example. Note that many non-GMO agricultural products are routinely sprayed with glyphosate, including wheat, oats, barley, rye and all sorts of grains. Glyphosate has become the No. 1 most common pollutant in the food supply, and a California court case recently ruled that glyphosate causes deadly cancer. Monsanto (now Bayer) is currently facing over 8,000 lawsuits that claim its glyphosate product — Roundup — caused cancer, yet there are very few labs that have mastered the quantitation of glyphosate due to the extreme complexity of the molecule (and the bizarre chemistry required to analyze it). With this announcement — and supported by your ongoing trust in our clean foods product line and lab testing — the Health Ranger Store becomes the first online retailer in the world to test its own brand for glyphosate using in-house laboratory testing. It’s yet another first in the realm of clean food, and it underscores our commitment to bringing you the cleanest, most intensely scrutinized food and superfood products in the world. As you shop at the Health Ranger Store, you’ll come to appreciate the fact that we test nearly everything for heavy metals, microbiology, glyphosate and soon an increasing list of pesticides as well. Nobody in the world subjects their products to this level of scrutiny, and no one has the strict cleanliness requirements that we impose on ourselves.